Lodging & Kayak in Mérida, Ometepe Island : El Caballito del Mar | Travel Smart! 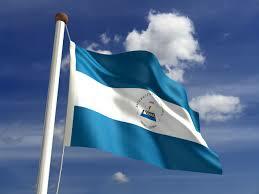 Tired of working in Spain, his home country, Fernando went to explore many parts of Nicaragua in 2006. When he arrived to Ometepe Island, he discovered the village of Mérida, and a particular place where passes the “river” Istian that connects the eastern and the western parts of the island. Fernando went fishing on the river and discovered lots of Caymens, Tortugas, Monkeys, Iguanas and even the rare bird Martin Pescador. He also realized that this amazing paradise was totally unknown and thus very hard for travellers to see it. 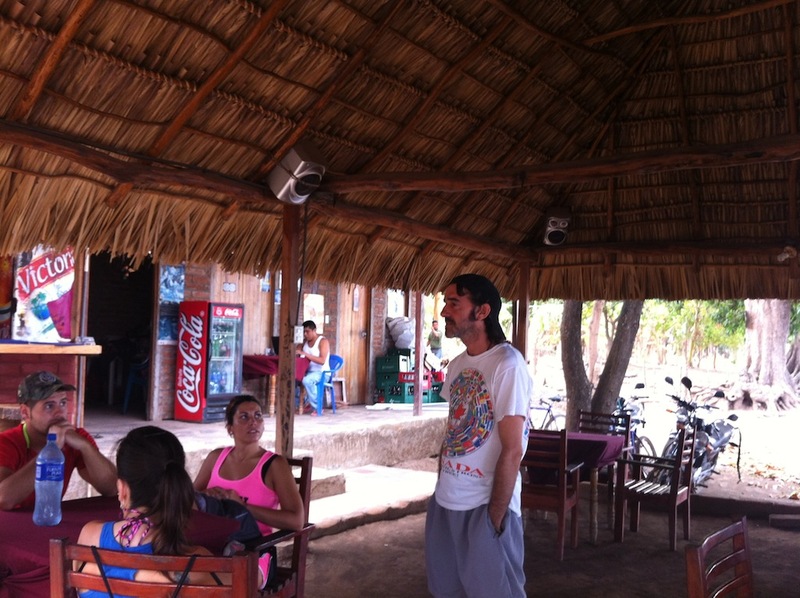 With his associate, Luis Adolfo, who is native of Mérida, they decided to create this amazing project of El Cabillito del Mar offering to travellers from around the world to go kayaking all along el Rio Istian, and also offering them an amazing place to stay, to eat and to drink 😉 of course, in a wonderful atmosphere. Private room (double bed and two single beds): 18$. Cabaña (double bed and single bed, private bathroom, hot water): 30$. The dorm and the private rooms have shared bathrooms. One of the main attractions of El Caballito del Mar is the kayaking tour toward El Rio Istian (see pictures), where you can observe a variety of fauna: Caymens, Tortugas, Monkeys, Iguanas and even the rare bird Martin Pescador. In a 3 hour tour you can explore the nature of the river with a bilingual guide (Spanish and English). It will take you about 45 minutes to get to the mouth of the river. You can go in small groups of 6 people maximum and your guide shows you all there is to see. For an additional fee, the guide will bring you and your kayak by boat directly to the river (and back), so you can enjoy more time on the river. 1-2 people: 25$ per person. 3 or more: 20$ per person. Transport by boat: an additional 20$ for the whole group. The sweet Chef Celina cooks every meal freshly on the wooden stove and if you choose your table wisely, you can sneak peak into the kitchen and watch her preparing your food. Being located directly on the lakeside, the specialties on the menu are the fishes Tilapia and Guapote, bought from the local fisherman next door. Beyond that you can order spanish and vegetarian dishes. While watching the sun setting above the lake, you can end your day with a local beer or a bottle of the third best Rum in the world. The most important thing you have to know before going to Mérida in Ometepe Island is that there is only one bus from Moyogalpa to Mérida that leaves at 2h30 PM. The boat from San Jorge to Moyogalpa is not a problem, because they are very frequent so you don’t have to schedule it. Take a taxi to San Jorge (around 15 C$ (0,60 $) per person). Ferry from San Jorge to Moyogalpa (almost every 30 minutes, 35-70 C$ (1,50 $ – 3 $) per person): 1h. Bus to Mérida: only one bus at 2h30 PM, 32 C$ (1,30 $), tell the driver you wanna get off at “Mérida en El Caballito” (everybody knows it). If you want to see some reviews about El Caballito, just click here! And if you liked your stay, please don’t forget to contribute to the success of this wonderful place.